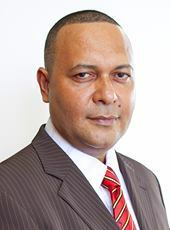 MEMBERS of Parliament have been urged not to sell off PNG by voting for constitutional amendments that will nullify any legal challenges to the Manus asylum seekers issue. Deputy Opposition leader Sam Basil said what Prime Minister Peter O’Neill and Foreign Affairs Minister Rimbink Pato were doing was “illegal and unconstitutional”. He described them as “beggars” running to Australia for additional aid that PNG did not need. Basil said by trying to change the Constitution, O’Neill and Pato had made PNG an international laughing stock, and shown that it could not hold onto its constitution. Basil urged MPs to think independently when voting for such constitutional amendments. “The other MPs, especially government backbenchers, should think for themselves,” he said. “Let us not be forced because you’re in government and concerned about your district services improvement programme (DSIP) money or provincial aid money. “During elections, you said you wanted to fight corruption, you wanted good governance. “This is not good governance. “They (O’Neill and Pato) are trying to change the goal post,” he said. “They are trying to make the illegal treaty (between Australia and PNG) become legal. “The Prime Minister and Pato, who is a lawyer by profession, know that they have broken the law. Basil also expressed his shame at PNG running to Australia for additional aid that it did not need.